With 90 balls and 3 chances to win there's always fun to be had in our many 90 ball rooms. Here at bingocams we have the same great 90 ball bingo you'd find on other sites with one added extra - our webcams. Don't worry if you feel a little shy at first, webcams are optional. Find out more. Love 75 ball bingo? Then you're in for a treat. 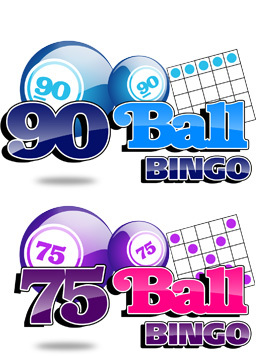 In our 75 ball bingo, there are two types of games, Pattern Bingo and 5 Line Bingo. Come and join in the fun now! Find out more. Find out more. After logging in to your Bingocams account and opening the game, you choose which room you want to play bingo in. Our room selector helps you make this decision by giving you information about each room, including the number of people in the room and the price per card in each bingo room. To change rooms click on the 'bingo rooms' button in the bottom right of the screen next to your account balance. You can only use this button if a bingo round is not in progress and if you have not bought any cards in your current room. Buy cards and play Bingocams! Once you have selected a bingo room, you can buy cards for the next round. This can be done in the top-left under the 'cards' tab page. When the counter is on zero, a new round of bingo begins. You'll see the balls appear at the top of the screen. When a ball on your bingo card is drawn, it is automatically marked. If you are the first to complete a full horizontal line, you win the prize amount corresponding to One Line. If you are the first to complete 2 horizontal lines, you win the prize amount corresponding to Two Lines. If you are the first to mark all numbers on a card, you win the prize amount corresponding to a Full House. There are also other prizes to be won with the cards you purchase. If you have a Full House within 40 drawn balls, you win the room jackpot. If you have a Full House within 32 balls, you win the Bingocams BigBang progressive jackpot! When someone has Full House, the round is over and the card buying round for the next game begins. At Bingocams it is only possible to buy cards if you have sufficient balance in your 'balance' or 'bonus' meter. If a bingo game is in progress, click on 'cards' in the top left of your screen. You can adjust the slide to change the number of cards that you would like to buy. You are then allocated the number of cards you have selected, randomly. When the bingo round is over, you can also directly click on the cards that you would like to buy. The cards change colour to show they have been selected. You will see the slide move automatically because of this. If you click on the same card a second time, it is no longer selected. When you have selected all the cards that you would like to buy, or have placed the slide so that the number corresponds to the number of bingo cards that you would like to buy, click on 'Buy Now'. You have now bought the cards and you can participate in the next round at Bingocams! You may find it more convenient to repeat your card order for following bingo rounds so that you can play automatically without the need to buy cards during the countdown period, this can be done using the Autobuy function. Once you have bought your cards, you can mark the 'remember' field below the 'number of cards' slide. The system then buys the same number of cards for subsequent bingo games until you unmark the field, logout, or have insufficient funds. At Bingocams when you win a prize, your profile picture is immediately displayed to everyone. If your webcam is activated in one of our jackpot rooms, everyone can see you celebrating! You don't have to claim your bingo prize manually, it is automatically added to your balance - it's that easy! Please note: When your webcam is on, you must be present in front of it. Bingocams does not allow use of the autobuy button if you are not present. In addition, Bingocams does not permit use webcam overlays or add images to the webcam stream in any other way. When this function is enabled, the cards with which you play are automatically sorted so that the cards with the best chance of winning are most prominent. Bingocams adds text to certain buttons and functions which describe them. When you are familiar with the buttons and functions you can disable this option. You can enable this function if you do not wish to receive private chat requests (1-on-1 chats) from other Bingocams players. You can disable this function if you prefer your cards to not be animated. If you are having problems running Bingocams on your PC you may wish to try turning off the card animation using this option. When this function is enabled, the screen that opens when another Bingocams player wins is automatically closed. When this function is enabled, your webcam image will not be displayed to other Bingocams players when you win. If you disable this function, other Bingocams players cannot see what player level you have reached. Here you can select whether you would prefer a male or a female voice to announce the bingo numbers.